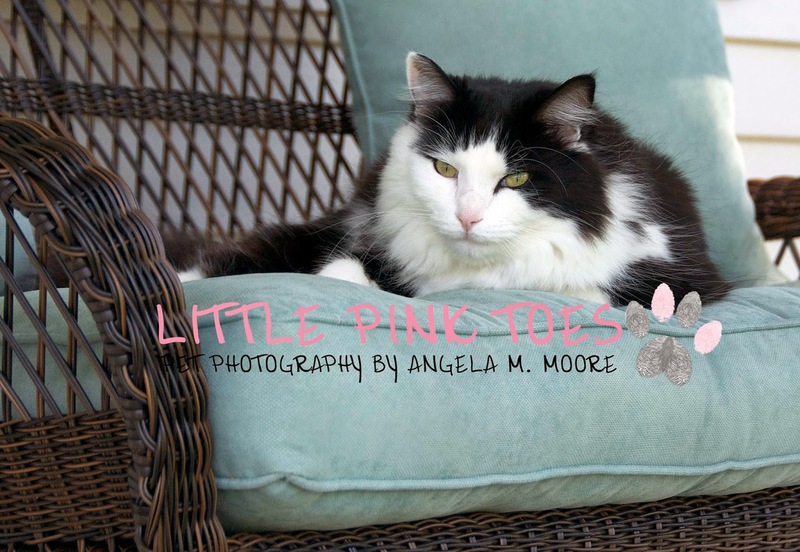 Little Pink Toes Pet Photography Gift Certificates For Christmas! Gift Certificates here! Get your gift certificates here! 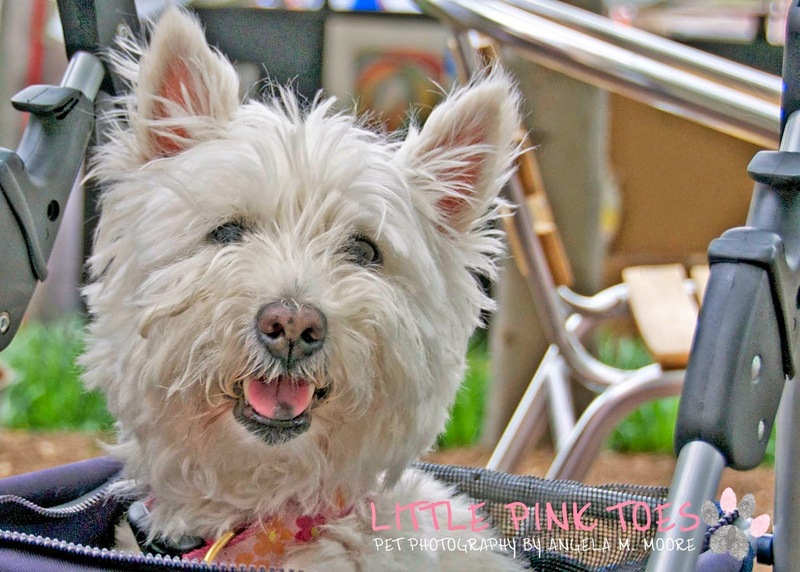 Skip on over to my pet photography website and take advantage of a discount that will disappear after Christmas! This is a great way to surprise someone special with a very personal gift! Hi friends! Recently I was helping Easels in Frederick by taking photographs of the artists painting in and around Frederick. After I finished, I stopped at Cafe Nola to have a much needed cold drink and a bite to eat. I had a wonderful BLT with side of fruit...yummy. While I was enjoying the shade and a cold beverage, along came the "Awwwwwwww!" Introducing Miss Penny! Miss Penny! You are so cute! Everyone was stopping this pretty lady and asking for a picture. The lady - I'm so sorry I didn't get her name - said she rarely gets a block before someone stops her for photographs. 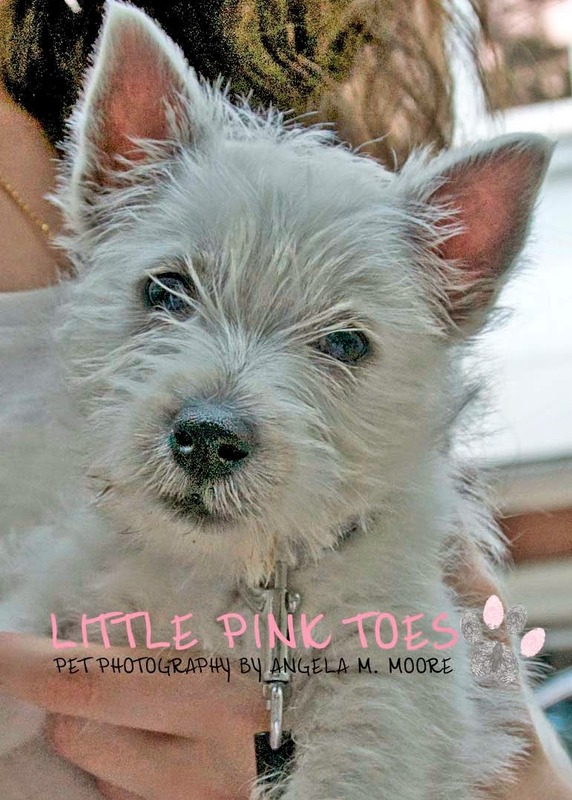 Miss Penny is a two month old Westie. So teeny tiny! Even her lease was tiny - barely a string! What dark eyes you have Miss Penny! 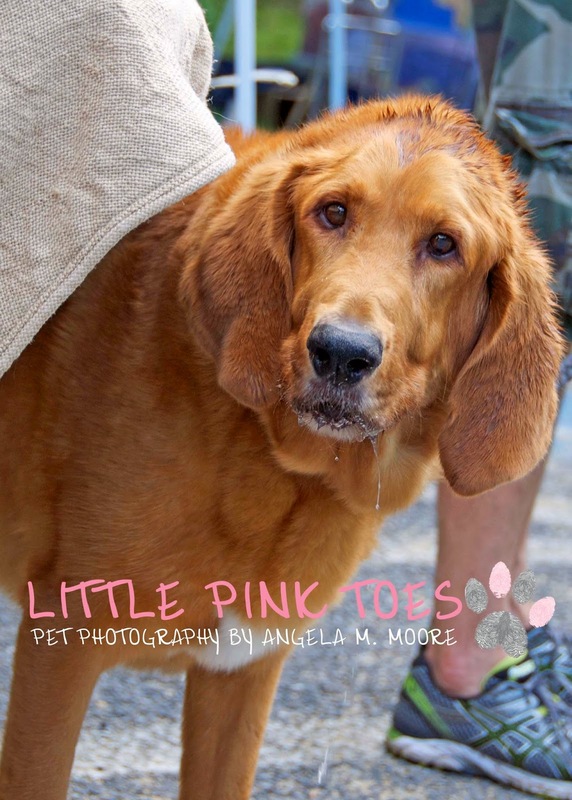 She's smaller than the water bowl Cafe Nola sets out for their four footed customers! Here's Miss Penny looking for her Dad who went in the cafe to get drinks to go for him and his girlfriend. Before he went in, he kissed Miss Penny on top of her head! Awwwwwwwww! Hope I run into this couple again soon! Happy summer! Miss Penny is looking for her Dad who went in the cafe to get a drink to go. 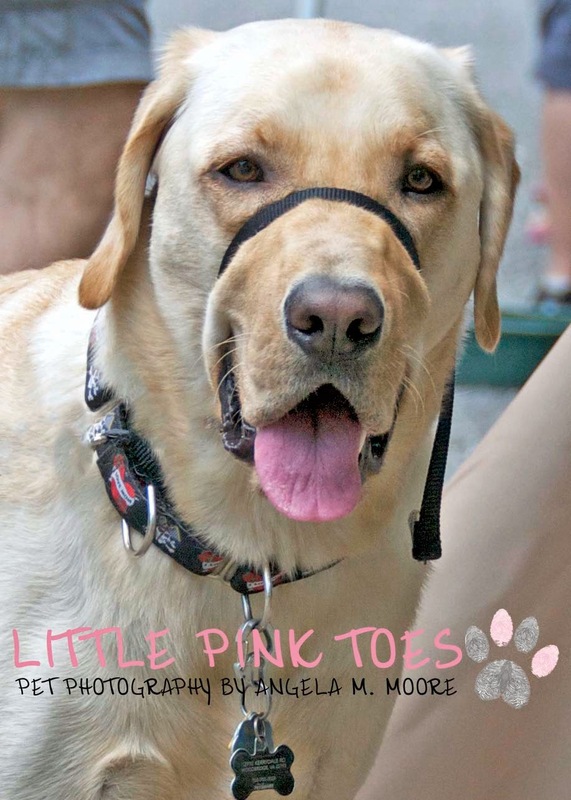 Downtown Dogs of Frederick - Presented by Little Pink Toes Pet Photography supports Lab Rescue Dog Walk! 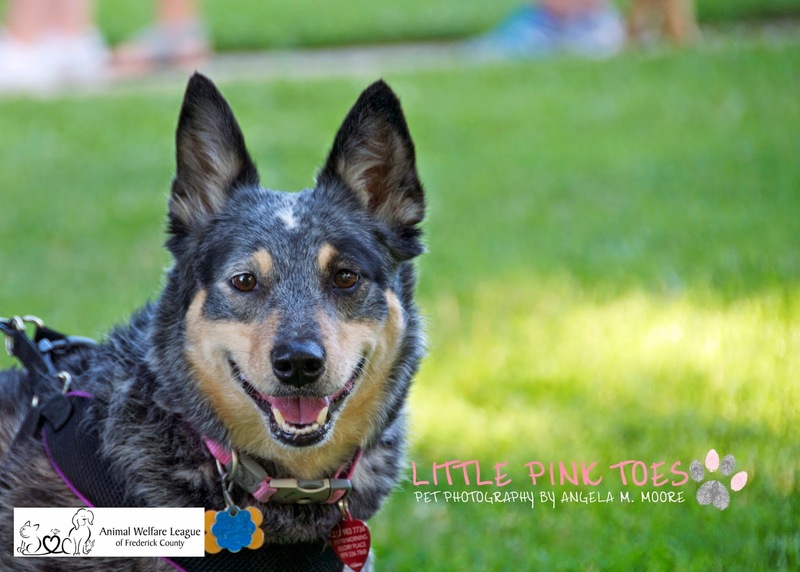 Being an avid traveler and supporter of animals, occasionally I will have the opportunity to share dogs from other cities. 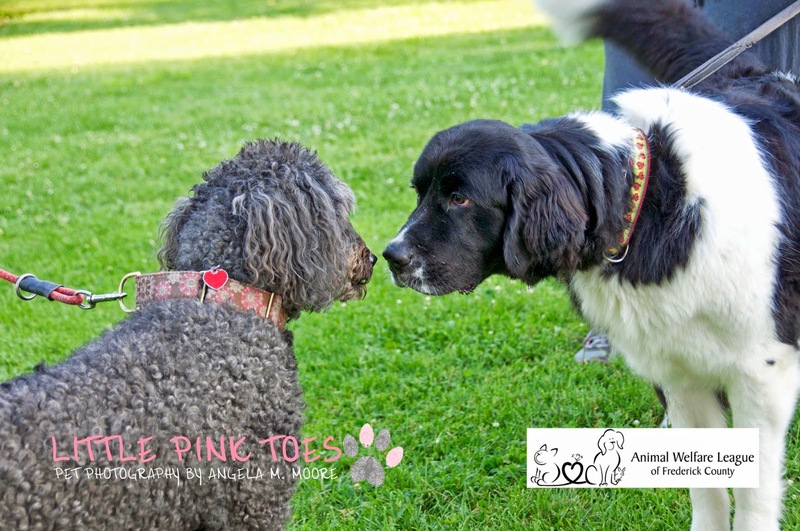 So here's a post about a great doggie day, even though it took place in Annapolis instead of Frederick. Hope you enjoy! 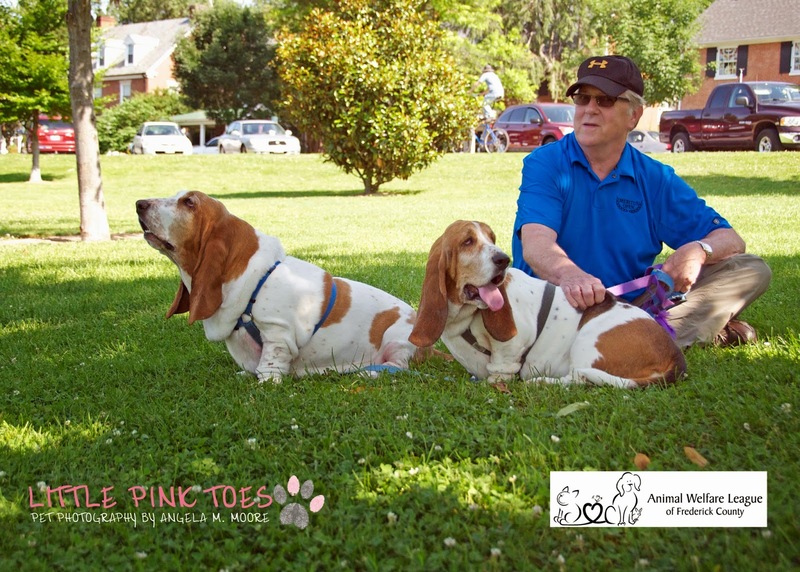 What a great time I had on Saturday, June 14 the at the Lab Rescue Dog Walk fundraiser which was held at the Quiet Waters Park in Annapolis, Maryland. 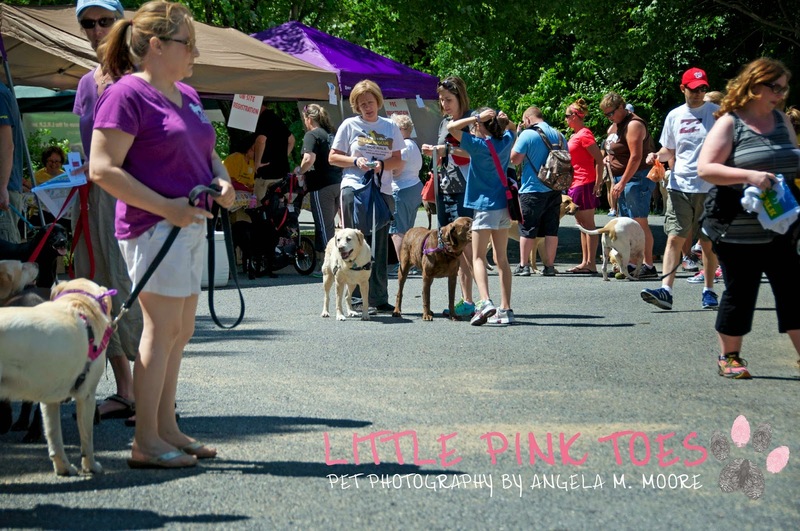 There were loads and loads of labs and their humans there for the annual walk. 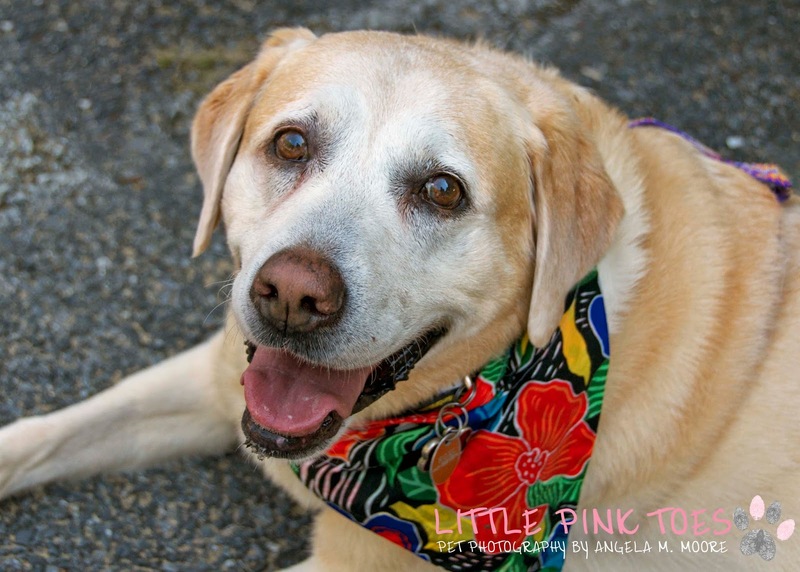 $109,000+ was raised for this wonderful rescue group who helps labs in Maryland, Virginia and Washington, DC! 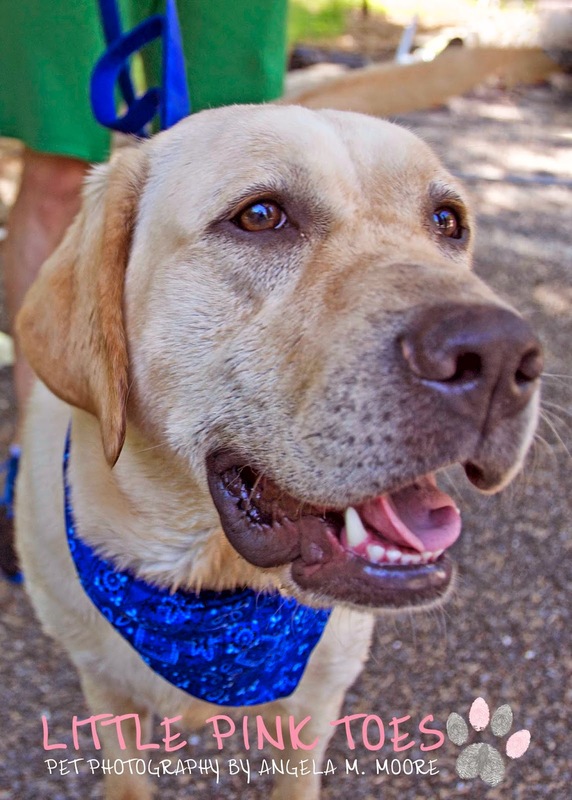 Last year they helped 1008 labs to find new, furrever homes! Yes, you read correctly...One-thousand and eight labs! And what a beautiful day for a walk in the park. It was in the low 80's with very low humidity and a wonderful breeze. Even with the great weather, my water bowl and shade tent was a big hit with the older labs. There was so much excitement and so my labs to sniff and get to know, that there were lots of pooped labs by the end of the afternoon! 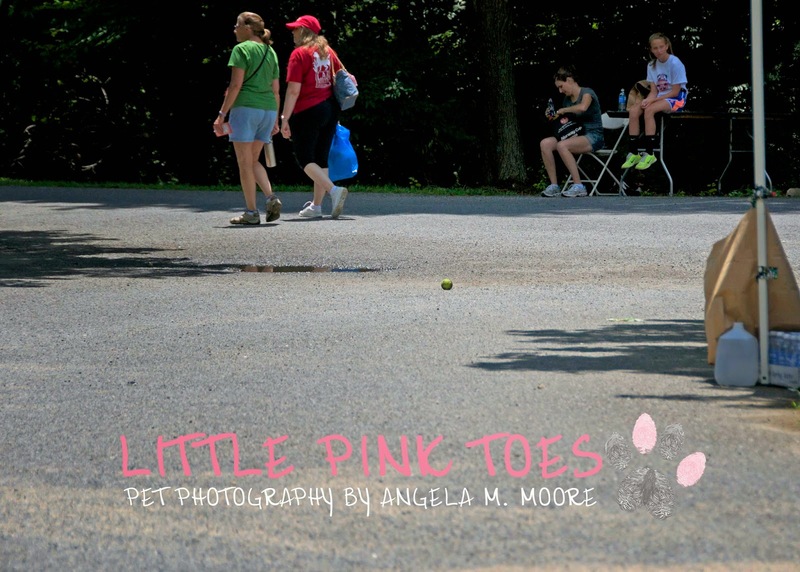 I had a vendor booth to showcase my Little Pink Toes Pet Photography business as a sponsor for the walk and help raise funds for the labs. I didn't reached my fundraising goal, but I did make a contribution and look forward trying to reach my goal next year. 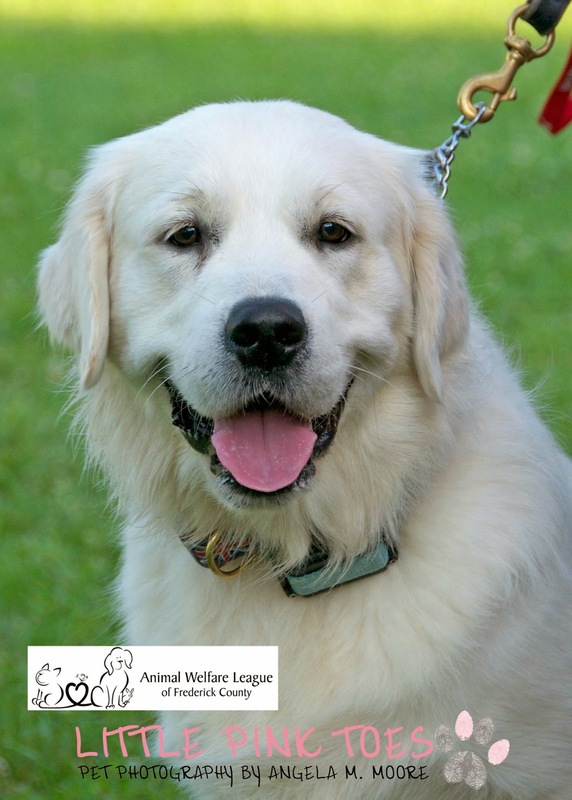 Thank you to my friends who generously donated to this wonderful dog rescue! 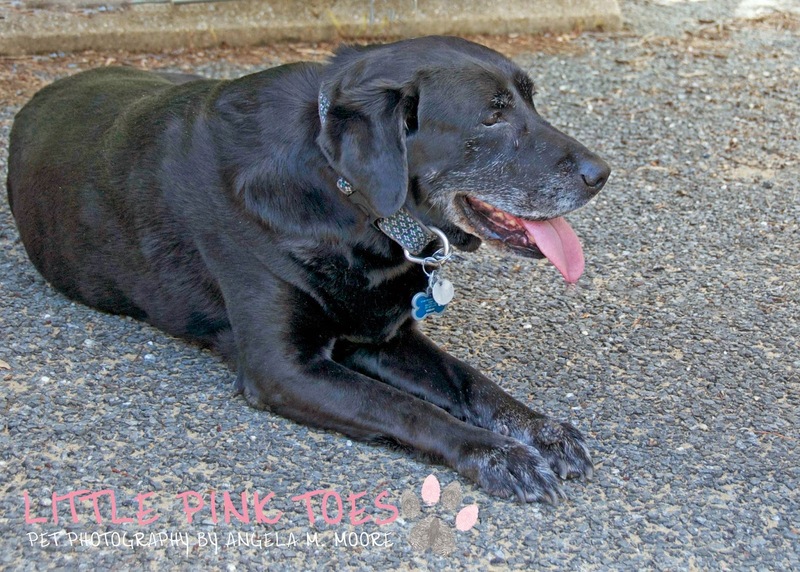 Here are a few of the beautiful Labradors that came my way during the walk. First up is Miss Roxie. 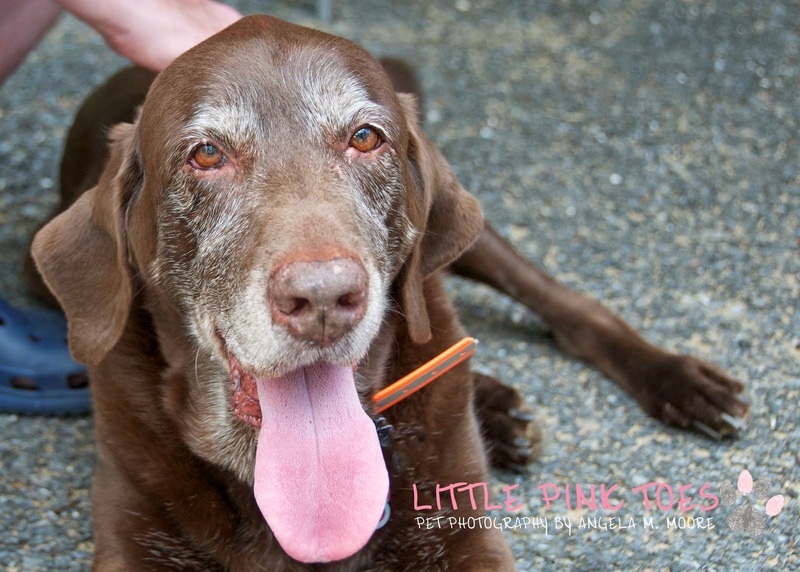 She is a sweet lady of 12 and was the first to savor the shade of my tent after the walk. Who can resist her beautiful face! She brought her human Cindy Breese and her brother - see him next - for a fun afternoon in the park. 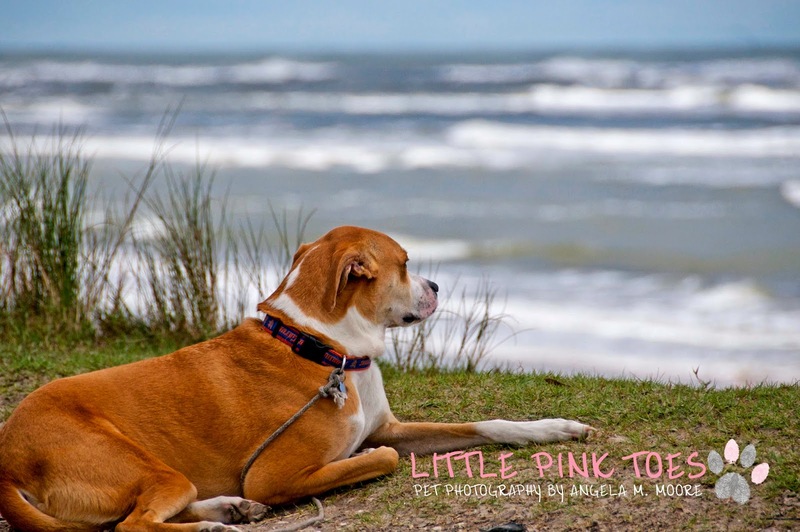 Thanks for posing so pretty Miss Roxie! Smooch! As I said, Miss Roxie has a brother. 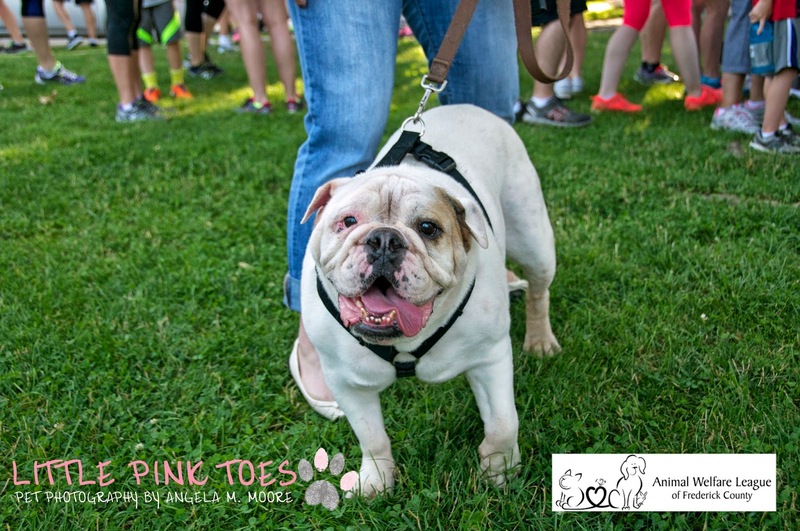 He is one and his name is Gnarly - or Sir Gnarls Barkley to the ones who know him best! Check out his bad self! A very nice human named Elizabeth was accompanying Mr. Seymour (11) that afternoon. This gentleman was absolutely pooped! We thought we might have to help Elizabeth carry him to his car! 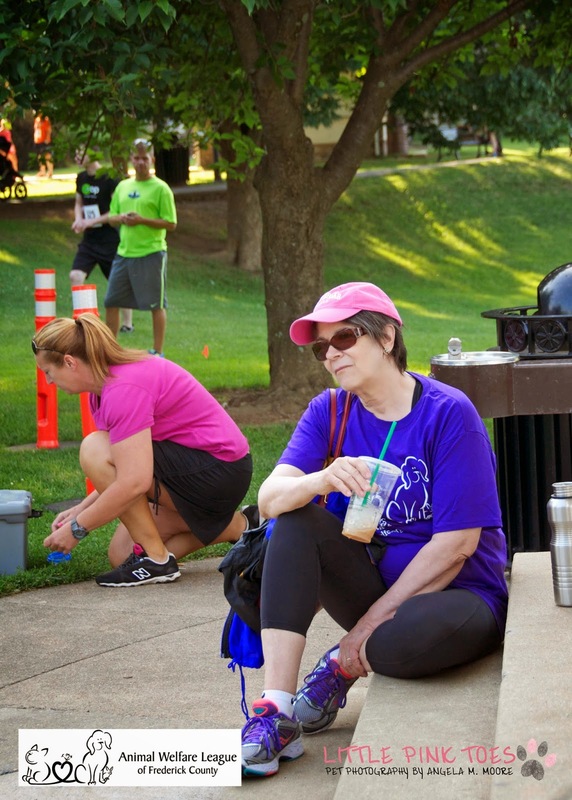 After a little rest and some water, he was able to make the dash to the car with his mom. Love you Mr. Seymour! Mr. Seymour getting his head rubbed by Husband. Miss Amber came along and stayed for a while. She is a beautiful lady of 12! 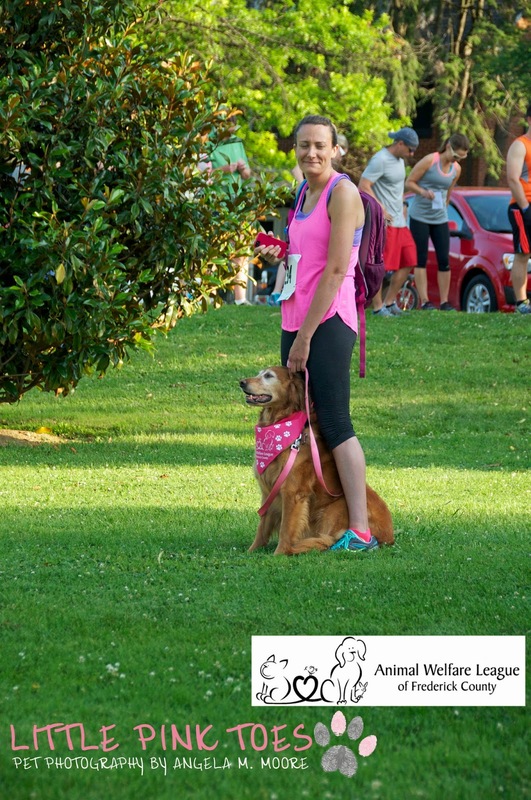 She brought her human Sandie along for the dog walk. 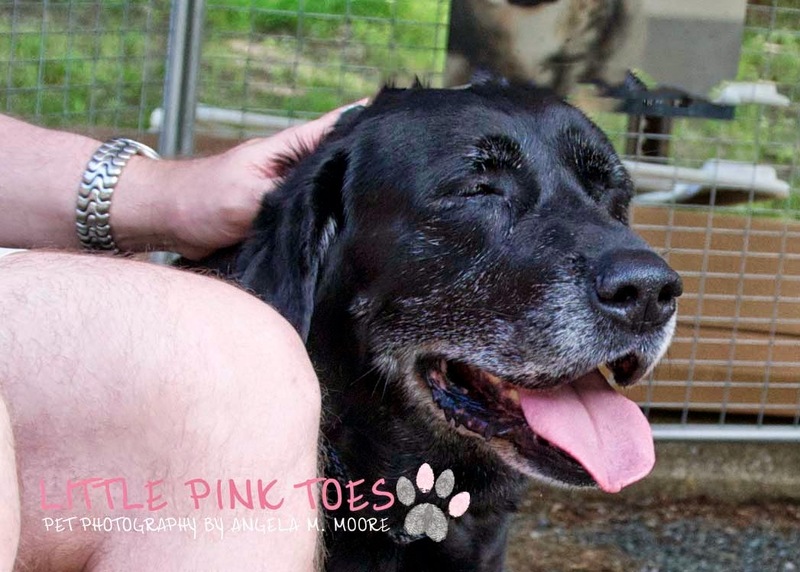 We don't think Miss Amber looks 12 at all! So ladylike and pretty! Thanks for stopping by Miss Amber! 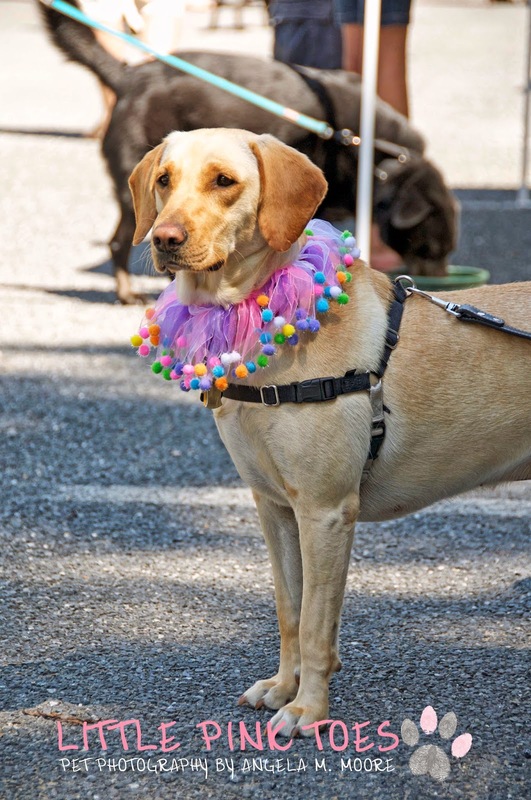 As you know, this was a fundraiser for Labradors. However, I met a dog who isn't a lab that I just had to show you. Say hello to Miss Kelsy! What a character she is! I was initially caught by her beautiful blue eyes! But the personality of this dog was what really grabbed me! Miss Kelsy is an Australian Shepard and is shhhhhhhh...a lady of a certain age......12. She wants to be - and certainly is - the center of attention. She has a lot to say and makes sure you are paying attention! So without further ado, I give you Miss Kelsy! Bow down minions! Miss Kelsey! Real dogs don't have tails! So, a fun afternoon was had by all and lots of money was raised for a great cause! Maybe I'll see you there next year! I'll leave you with some general photographs from the afternoon. Woof! Sampling from the water bowl. What a face! 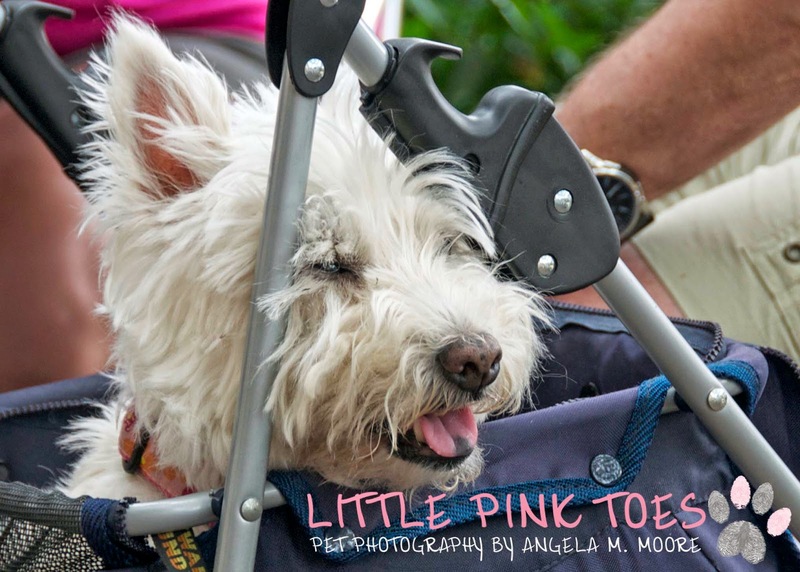 On Sunday June 8th, I went to the annual Frederick Festival of the Arts in my hometown Frederick, Maryland. 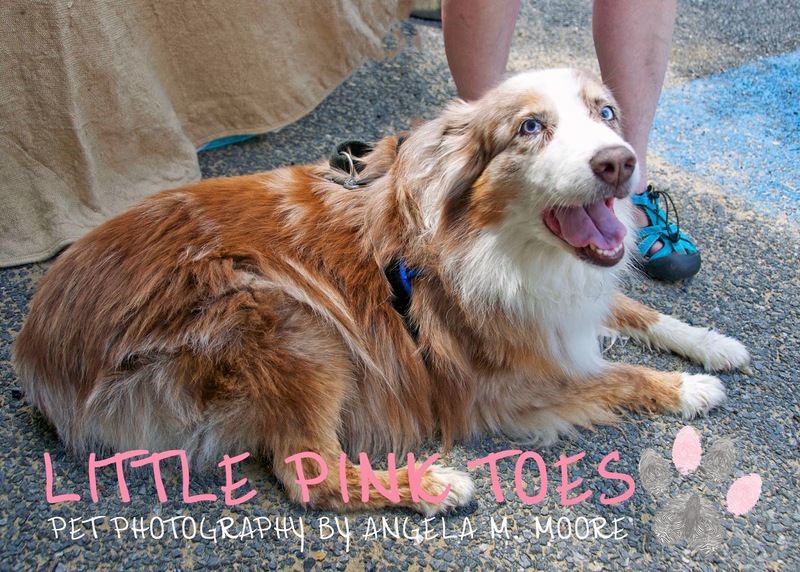 It has been several years since I have been able to go to this show and I was excited to have such a beautiful day to check out all the artists, and the dogs and their humans who came to see the artists. After making the full round of the show, I settled into a lovely chair in the shade on the patio of The Wine Kitchen and ordered brunch. While I was enjoying a gorgeous, delicious mile high quiche and a glass of Black Stallion Chardonnay, a lady named Chris and her Dad came sat down near me with two dogs - each in their own pet carriage. 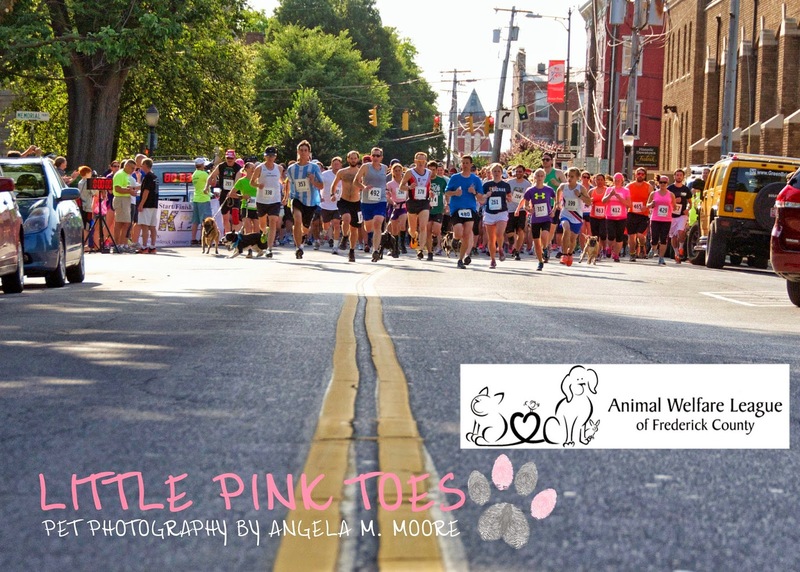 Well....if that's not a perfect opportunity to kick off my Downtown Dogs of Frederick blog, I don't know what is! I first noticed Jasmine. She was pooped after a long day of viewing art, and sniffing other dogs! 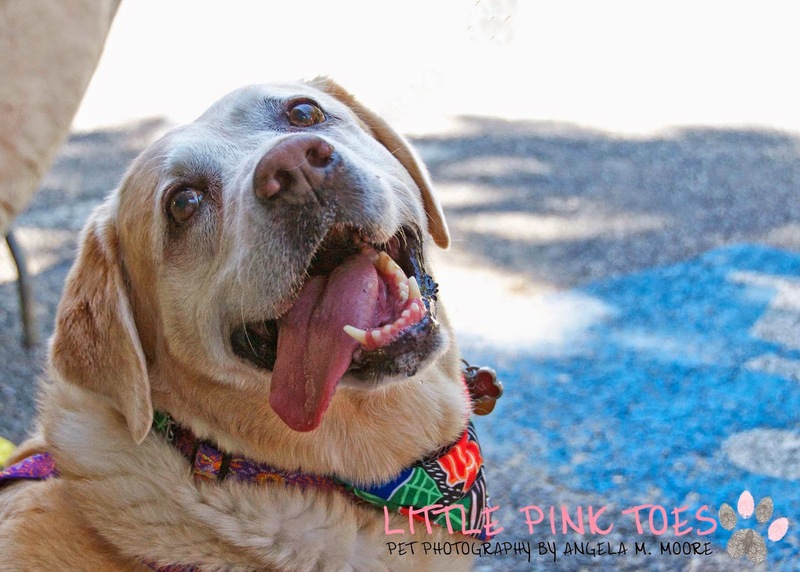 After introducing myself, I was able to snap this photograph of Jasmine who had perked up with the new excitement and was anxious to be featured in Downtown Dogs! Here she is giving me her sweetest look. Miss Jasmine looking her absolute sweetest! The father asked me "aren't you going to take a photograph of Lola? Well, of course, thank you very much! Lola's carriage was zipped up and turned so that I couldn't see who was inside. Chris kindly turned the carriage around, unzipped the front and out popped Miss Lola! Miss Lola was very happy to be able to poke her head out and see what all the excitement was about! And, she was very curious about the sounds of my camera! Miss Lola: "What in the wide, wide world is that sound?" Aren't they cute? They were so sweet and let me pet them and talk doggy talk to them! Chris and her dad got a big kick out of me taking photographs of their furry best friends to be featured on my blog. 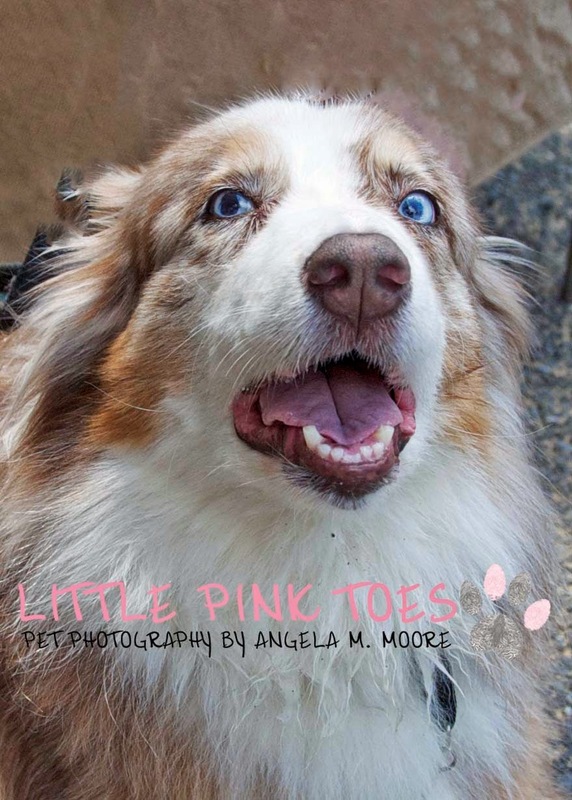 I think they were also tickled that there is such a thing as a pet photographer! Jasmine and Lola enjoyed it too. They are famous now. I hope it doesn't go to their heads! Thank you Chris and Dad - and Jasmine and Lola - for sharing a bit of your day with me. I hope you find this blog. Write me a note if you do. 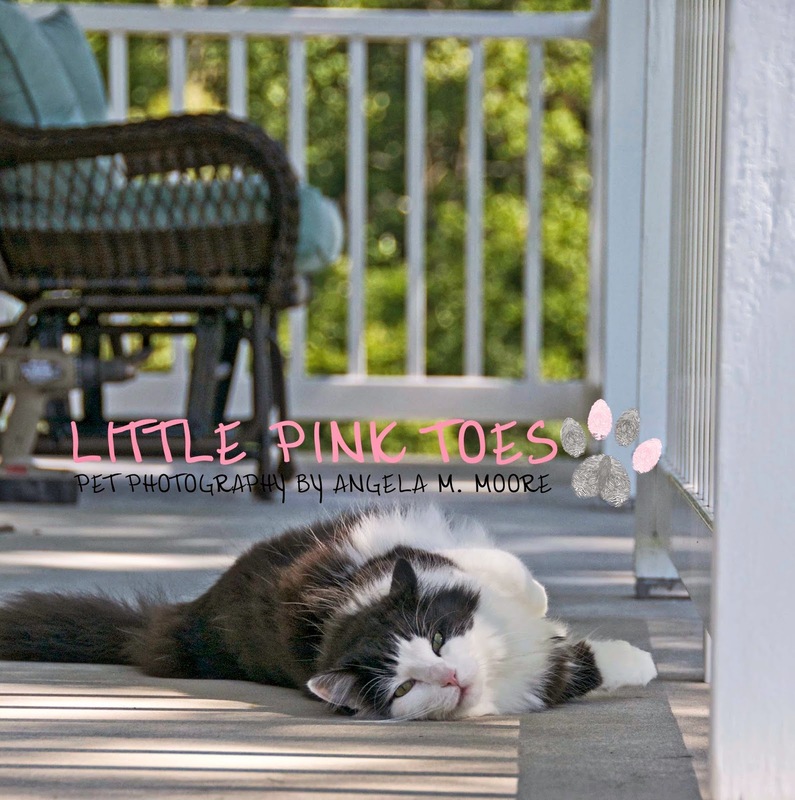 And if you ever want to have a custom pet photography session for Jasmine and Lola, please consider me! 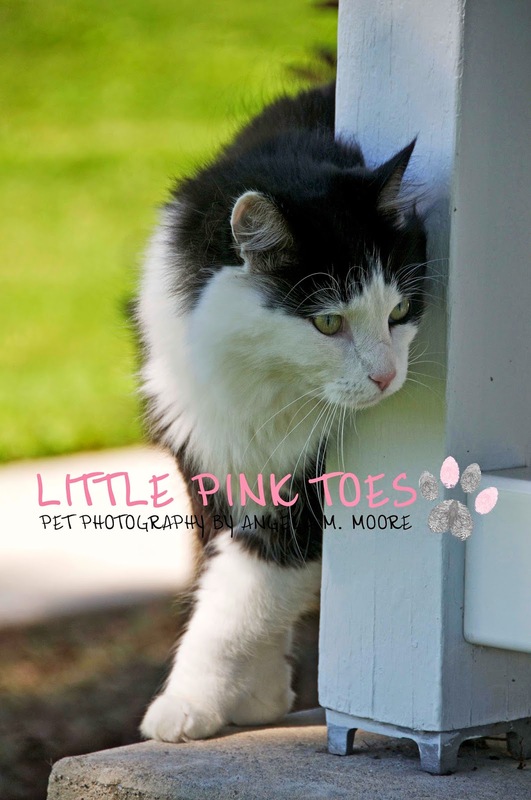 You can see more of my work at Little Pink Toes Pet Photography! 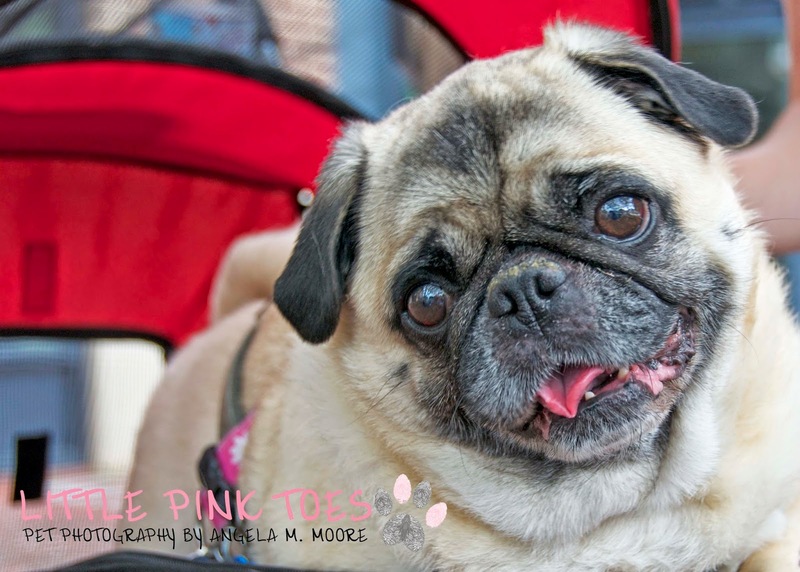 Welcome to Downtown Dogs of Frederick, Maryland! 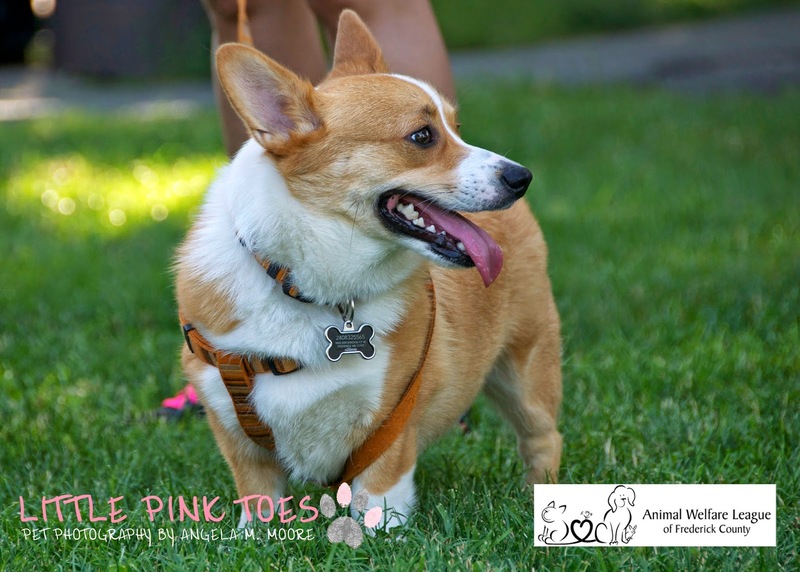 Presented by Little Pink Toes Pet Photography! 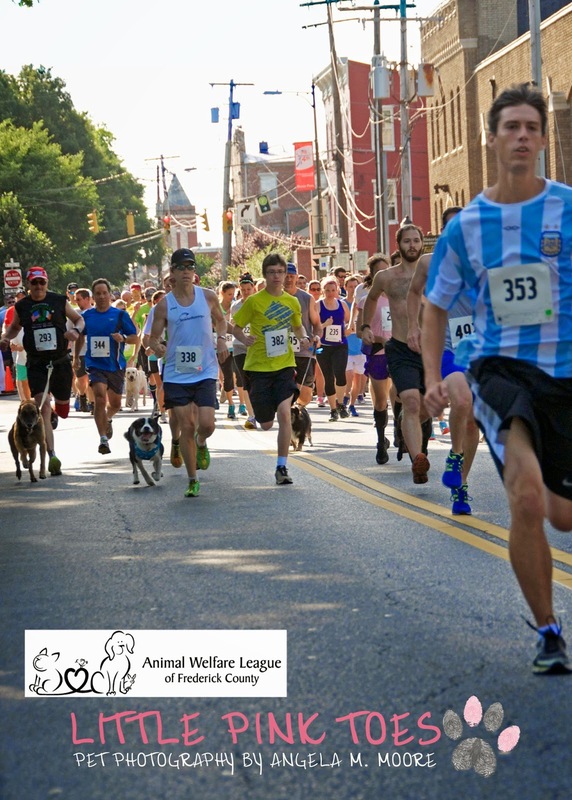 Welcome to Downtown Dogs of Frederick, Maryland! 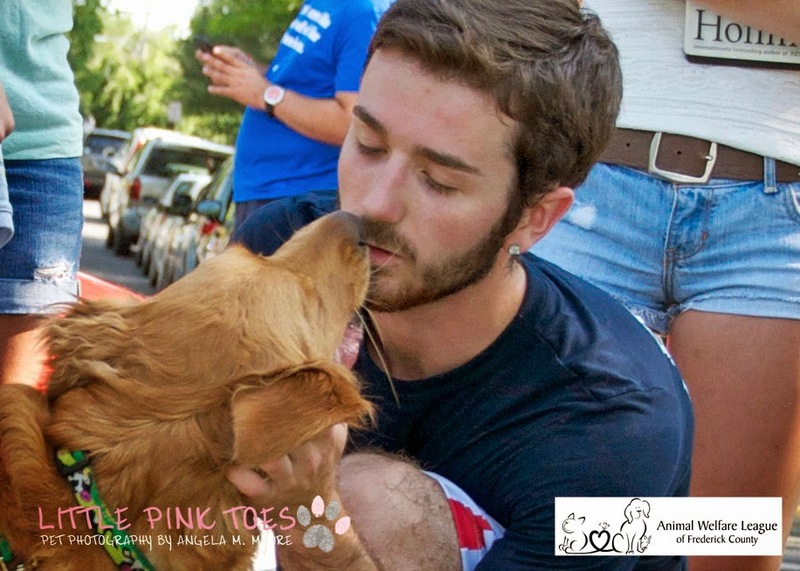 Frederick loves dogs and dogs love Frederick! 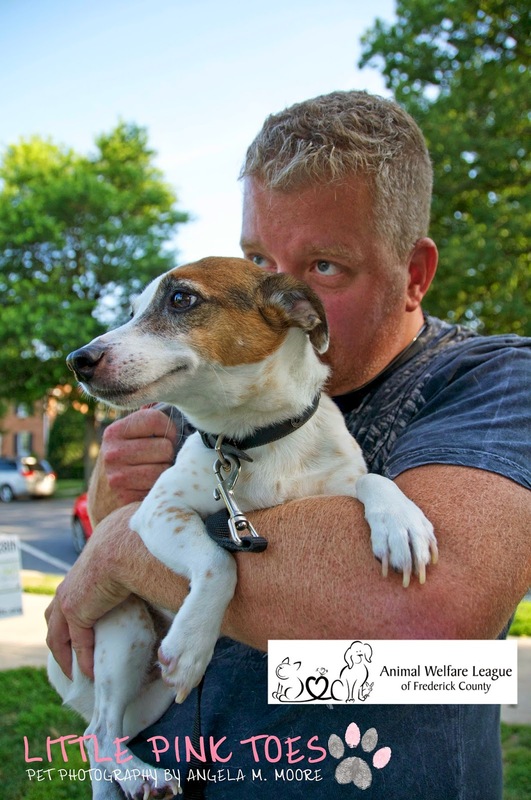 As a love time resident of Frederick, I have always enjoyed the friendly dogs that I meet while I am downtown! 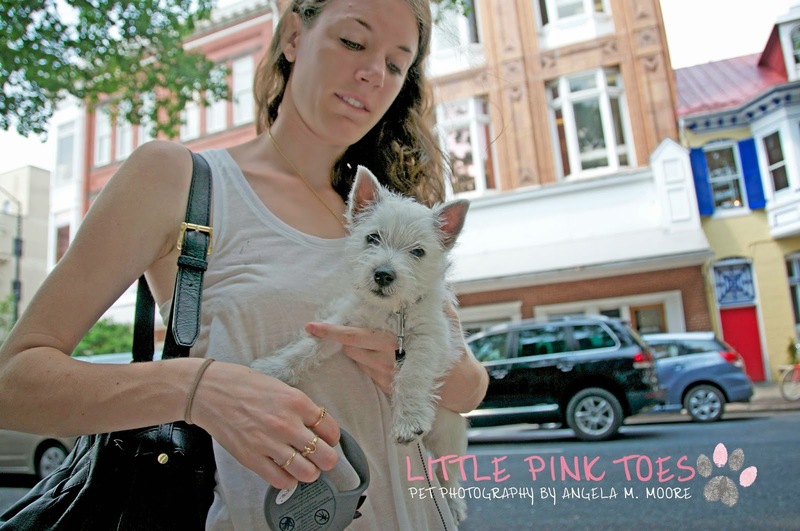 The city is very dog friendly with many business offering to open their doors and welcome customers who are out with their four footed friends. Water bowls are set out for their refreshment. Treats are available for the asking. One will see every type of dog from pure bred, and dressed up to the mighty mutt. Stately to slobbery! I find it so entertaining to sit at an outside table of one of the many restaurants and coffee shops and watch the parade of dogs! 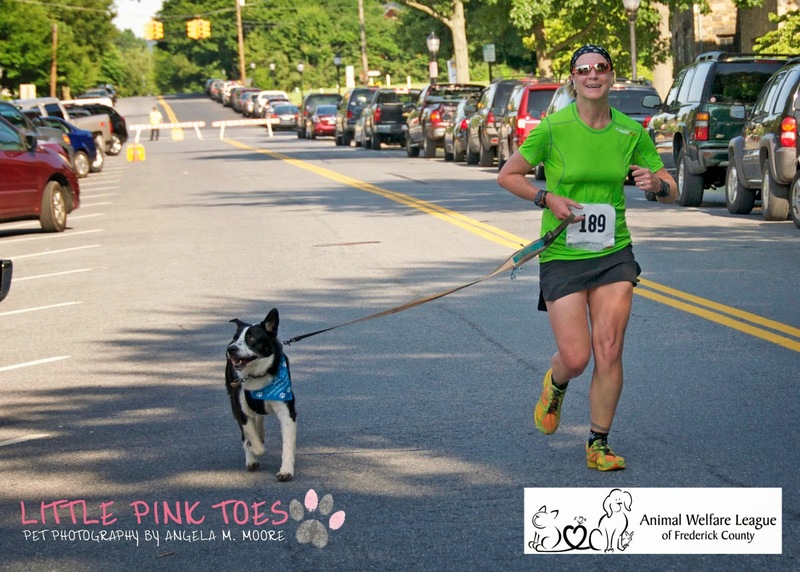 So, I have decided to share the doggy joy with the blogging world! So look for me around Frederick with my camera! 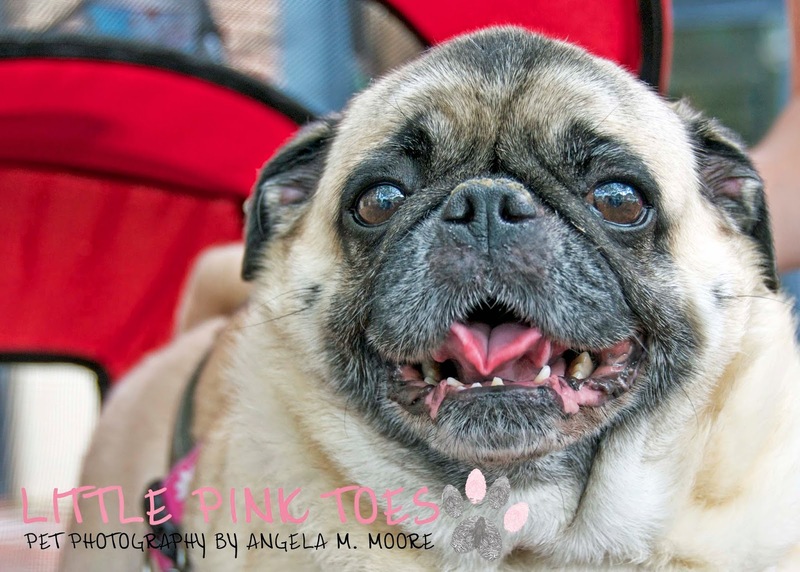 I would love to feature your dog on my blog! Don't you think he would get a kick out of it too?